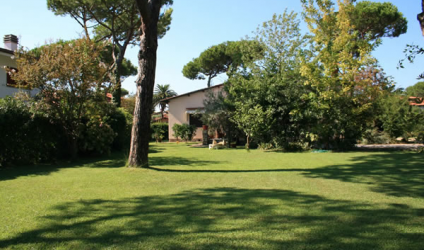 single villa arranged all on one floor, surrounded by large and beautiful garden. Livingoom, kitchen, 4 double bedrooms, 3 bathrooms, porch. The large attic can be divided in further two bedrooms and two bathrooms or a large openspace. Possibility to built the swimming pool. The property is very interesting for the square footage and unique location.